The PB-5006-1M5 is a flexible probe with a 1.5m cable which monitors temperatures from -40°C to +125°C. It is typically used in situations where a rigid probe is unsuitable and it is fully waterproof. It is designed for many varied applications and has been widely used for monitoring in bird nests and other zoological locations. 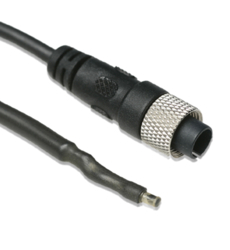 This probe is also available with a 0.5m cable (PB-5006-0M5), a 3m cable (PB-5006-3M) and a 5m cable (PB-5006-5M).